Non-Communicable Diseases (NCDs) often called as lifestyle diseases are those non-infectious diseases which are of long duration and slow progression and can affect all age groups in one way or the other. The Global burden and threat of NCDs constitutes one of the major challenges for healthcare system in twentyfirst century. Keeping in view of the current scenario, a collaborative pilot project of Directorate General of Health Services and Ministry of AYUSH was launched namely Integration of AYUSH systems in National Programme for Prevention and Control of Cancer, Diabetes, Cardiovascular Diseases and Stroke (NPCDCS) known as NPCDCS-AYUSH Integration Project. Inter alia, the project on integration of Unani Medicine in NPCDCS was officially launched by Central Council for Research in Unani Medicine (CCRUM) in June 2016 at Lakhimpur-Kheri District (LKD), Uttar Pradesh and is being implemented in all the 17 CHCs of the district. This paper aims to highlight the strategies and achievements made during June 2016 to November 2017 (18 months) through various qualitative and quantitative indicators viz.-aviz. IEC/BCC development, training and orientations programs conducted, health lectures and monitoring visits; and population based screening, enrolment of patients for NCDs, outreach camps and yoga classes conducted; respectively. During this period 1,62,839 people were screened and 24,911 patients were enrolled for management and treatment of selected NCDs in LKD. The enrolment data suggested that among the population screened during the period, prevalence of common NCDs like diabetes, hypertension, hyperlipidemia and cancers in LKD was 6.41%, 8.07%, 0.7% and 0.06% respectively. Significant results were obtained through this analysis which clearly shows the need and acceptance of this integration model in general public. This project is the model of integration of Unani system of Medicine in mainstream healthcare and this can be replicated for other districts not only for NPCDCS but also for integration with other National Health Programmes to provide better healthcare facility in the country. Non-Communicable Diseases (NCDs) often called as Lifestyle diseases or chronic diseases are defined as medical conditions that are known to affect individuals over an extensive period of time i.e. these are non-infectious diseases which are of long duration and generally are of slow progression. All age groups and all regions can be affected by NCDs . The four identified major NCDs are Cardiovascular Diseases (CVDs) such as hypertension, ischemic heart disease and stroke; Diabetes; Chronic Respiratory Diseases (Chronic Obstructive Pulmonary Diseases and Asthma); and Cancer . Other NCDs are Joint disorders (such as arthralgia and arthritis), psychoneurotic disorders/mental illness, blindness, deafness, drug addiction, accidents and injuries, etc. . According to WHO, NCDs kill 40 million people each year, equivalent to 70% of all deaths globally. NCD deaths are projected to increase from 38 million in 2012 to 52 million by 2030 with an estimated 10.4 million deaths in South East Asia. Approximately 42% of all NCD deaths globally occurred before the age of 70 years and 48% of NCD deaths occurred in low- and middle-income countries and 28% in high-income countries . Globally, CVDs account for most NCD deaths i.e. 17.7 million people annually, followed by Cancers (8.8 million), Respiratory diseases (3.9million) and Diabetes (1.6 million) . WHO’s NCD Country Profile for India suggest that the mortality profile due to NCDs shows an increasing trend, which is over 60% (5.87 million) of premature mortality, placing them ahead of Communicable diseases, Maternal, Prenatal and Nutritional conditions (28%), in which cardiovascular diseases accounts for 26%, chronic respiratory diseases 13%, Cancers 7%, Diabetes 2% and other NCDs account for 12% of deaths [6,7]. NCDs are a result of a combination of genetic, physiological, environmental and behaviour factors. There are four main modifiable/behavioral risk factors of NCDs i.e. these risk factors are those which can be modified with timely and appropriate measures. These are tobacco use, physical inactivity, unhealthy diet and the harmful use of alcohol. Other Metabolic/physiological risk factors are raised blood pressure, overweight/obesity, hyperglycemia (high blood glucose levels) and hyperlipidemia (high levels of fat in the blood). These risk factors contribute to four key metabolic or physiological changes that increase the risk of NCDs. In terms of attributable deaths, the leading metabolic risk factor globally is elevated blood pressure (to which 19% of global deaths are attributed), followed by overweight and obesity and raised blood glucose. Keeping in view of the current scenario that there are common preventable risk factors for NCDs, Government of India initiated a National Programme for Prevention and Control of Cancer, Diabetes, Cardiovascular Diseases and Stroke (NPCDCS) after integrating the National Cancer Control Programme (NCCP) with National Programme for Prevention and Control of Diabetes, Cardiovascular Diseases and Stroke (NPDCS), in 10 districts of the Country during 2008 as a pilot phase and later on during 2010-11 launched the programme in 100 districts of 21 States. In 2016-17 the number of approved districts increased to 616 [8,9]. One of the mandates of this programme was to integrate AYUSH systems of Medicine with NPCDCS . Therefore, in order to augment the efforts of the already existing NPCDCS, and promote health preservation, disease prevention and management of such Lifestyle diseases, the Directorate General of Health Services, Ministry of Health and Family Welfare with Ministry of AYUSH undertook a pilot project to integrate AYUSH systems with NPCDCS in 2015-16 to utilize the services of AYUSH doctors and yoga experts through AYUSH Research Councils. The project was initially implemented in six (06) districts of the country namely Gaya (Bihar), Bhilwara (Rajasthan) and Surendranagar (Gujarat) under Central Council for Research in Ayurvedic Sciences (CCRAS); Krishna (Andhra Pradesh) and Darjeeling (West Bengal) under Central Council for Research in Homoeopathy (CCRH); and Lakhimpur-Kheri (Uttar Pradesh) under Central Council for Research in Unani Medicine (CCRUM) . CCRH recently expanded to two (2) more districts namely Nashik (Maharashtra) and Sambalpur (Odisha), taking the count of implementing districts to eight (8). The main Objectives of this integration project are health promotion, prevention of NCDs, opportunistic screening, capacity building, providing cost effective AYUSH treatment, outreach activities, yoga interventions and also support the development of database of NCDs to monitor and check NCD morbidity and mortality . The Unani system of Medicine puts great emphasis on lifestyle management for promotion and maintenance of health. It considers diet, lifestyle, emotions, interaction with environment and even spiritual factors. It integrates both external environmental factors like seasons, air purity, food and drinks, etc as well as internal factors such as sleep and wakefulness, movement and rest, evacuation and retension, etc. On account of its ability to undertake health promotion and disease prevention even by non-drug lifestyle factors, the Unani system of Medicine is of great relevance to present day healthcare. In view of this, Unani system of Medicine aimed to integrate with NPCDCS at Lakhimpur-Kheri District (LKD), Uttar Pradesh. The pilot project is executed by CCRUM through its Central Research Institute of Unani Medicine, Lucknow. The project is being implemented at all the 17 Community Health Centres (CHCs) and 54 Primary Health Centres (PHCs) of the district through Unani Lifestyle Clinics. Recently, a Unani Lifestyle Clinic was also started at the District Hospital, of Lakhimpur-Kheri . The population based screening for different NCDs was carried out in LKD. The people were screened for Cancer, Diabetes, Hypertension, Hyperlipidemia, Stroke and Rheumatic Heart Disease and patients were enrolled in two groups. In Group A, only the vulnerable patients were enrolled who were just advised dietary and lifestyle modifications, Ilaj-bit-tadbeer (Unani regimenal therapies) and Yoga therapies. In Group B, the diseased patients were enrolled (irrespective of the fact whether they are taking allopathic medicines or not) and were prescribed Unani Medicines along with dietary and lifestyle modifications, Ilaj-bittadbeer (Unani regimenal therapies) and Yoga therapies. Various qualitative and quantitative indicators were considered. Development of IEC/BCC: Development of Information, Education and Communication (IEC)/Behaviour Change Communication (BCC) is an approach which attempts to change or reinforce a set of behavior in a target audience regarding a specific problem. It combines strategies, approaches and methods that enable individuals, groups, organizations and communities to play active role in achieving, protecting and sustaining their own health. Included in the IEC/BCC is the process of learning that empowers people to make decisions, modify behaviors and change social conditions . Development of disease specific IEC/BCC especially in local language was an essential part of this programme for health promotion and disease prevention. Training and orientation programs: The healthcare providers in any health programme require special skills to provide competent and safe care to patients. The training programs are conducted to communicate to the newly recruited staff that what is expected from them and more importantly how they have to proceed to meet the expectations. Its characteristics include introducing the staff to programme’s mandate, job description, their roles and responsibilities and other important things they need to know. The ultimate goal of conducting training programs here is not just to increase the skills of Unani physicians and yoga instructors, but also to help them recognize and report challenges faced in the field during programme implementation . The orientation programs are conducted to encourage the staff’s confidence and motivate them to increase efficiency and capacity. It also promotes interaction and communication between the monitoring authorities and staff posted in different parts of the district . Monitoring visits: This is the regular systematic collection and analysis of information to track the status and progress of the programme implementation against pre-set targets and objectives. It aims to answer the question “did we deliver?” Monitoring helps in linking activities and their resources to programme objectives, translate objectives into performance indicators and routinely collect data on these indicators for comparing actual results with targets. While monitoring provides record of activities to the managers and policy makers, it also signals challenges and problems to be remedied along the way . Population based screening: The focus of this programme is to enable opportunistic screening for common NCDs, through setting up of Unani Lifestyle clinics at district and CHC levels and through outreach camps at PHC and lower levels. Since the district selected is backward in terms of health education and awareness about NCDs, a major part of population remains undiagnosed for common NCDs. Patients were assessed for risk factors, but a low risk score does not mean that the individual is to be exempted from screening, as NCDs could exist even in the absence of risk factors. Patients were screened on the basis of the approved screening performa [12,18]. Enrolment of patients: After general screening, the patients provisionally diagnosed for NCDs are enrolled under the respective group for detailed examination and further management and treatment. (a) Group-wise enrolment of patients: The vulnerable patients were enrolled in Group 1 and the diseased patients were enrolled in Group 2. The vulnerable patients were enrolled only in cases diagnosed with diabetes, hypertension and hyperlipidemia. For other selected diseases, only the diseased patients were enrolled. (b) Enrolment of patients under different NCDs: The data collected at different CHCs and DH was sorted according to the NCD diagnosed and the number of patients enrolled for selected NCDs since inception of project is calculated. (c) Total NCD patients enrolled in the district: The overall data captured at the CHC and DH level is summed up to get the bigger picture of the status of enrolment of NCD patients in the district under NPCDCS-AYUSH (Unani) integration project. Awareness outreach camps and persons benefitted: The implementation of programme at block level does not mean that vulnerable people at village level and in interiors have to wait to get access to medical assistance. Therefore, provision of outreach camps is also envisaged under this programme to screen the population for NCDs in far flung areas. The outreach camps are not organized to provide medicaments, but the main aim is to avoid people from contracting diseases and to give them awareness on what they should do to reduce their chances of warding off illnesses. The main role of this intervention is prevention because it is the only way to decrease NCD morbidity and mortality rate. The vulnerable group screened in camps is referred to the nearest CHC/DH. The screening camps should be conducted with the ambience of a mela or festive gathering to highlight the importance of screening process and promote high levels of participation . Health lectures: The lecture-based teaching methods and problem-based learning is necessary to teach about disease prevention and health promotion. It increases individual awareness of disease and disability prevention actions, changing lifestyle to healthy ones, encourage individuals to have regular health check-ups and use health screening opportunities, early seeking for medical advice, compliance to physician’s instruction and treatment schedule . Yoga classes and people benefitted: Yoga is a science of consciousness and can play important role in prevention, management and rehabilitation of diseases especially lifestyle diseases. Yoga therapy aims at restoring the abnormalities of body and mind physiology to normal, thereby restoring health. The rationale behind incorporating yoga component along with integration of Unani Medicine in NPCDCS is to enhance rapid and gentle healing of lifestyle diseases. The yoga classes conducted by yoga instructors at CHC and PHC level on one hand will not only increase the feeling of wellness, positive attitude, willpower and strength among masses and decrease the levels of anxiety, depression, stress and tension but on the other hand will also help in keeping a check over blood sugar levels, blood pressure levels, blood cholesterol levels, body weight, etc. among vulnerable and diseased groups. The assessment of results was done on the basis of pre-defined qualitative and quantitative indicators. Development of IEC/BCC: Since IEC/BCC is the key for generating mass awareness, the CCRUM developed disease specific material in the form of pamphlets, banners, handbills, etc. in three different languages i.e. in English, Hindi and Urdu for all the diseases covered in this programme. The IEC/BCC developed not only provides information about the disease for health promotion but also amply defines the preventive measures for avoiding the disease. The IEC/BCC material was made available at registration counters and AYUSH pharmacies at all the CHCs and widely distributed among masses during outreach camps to inform people about NCDs and motivate them to get screened at Unani lifestyle clinics. A training manual for Unani physicians and Yoga instructors was also developed by CCRUM in English language for easy understanding about the programme, its objectives and responsibilities of staff towards delivering desired goals. Some of the IEC developed is shown in Figure 1. Figure 1: Some of the IEC/BCC material developed by CCRUM for NPCDCS-AYUSH integration project. Training and orientation programs: Initially two days training program on ‘Integration of Unani Medicine in NPCDCS Project’ was conducted at CRIUM, Lucknow in March 2016 to introduce the newly recruited staff under NPCDCS-AYUSH to the policies of CCRUM, mandate of the new health programme, communication with co-workers and enhance technical skills. There were around 130 participants, 14 facilitators/speakers and 10 guest lectures in the program. Another training program was conducted in the premises of CRIUM, Lucknow during May 2017 on ‘Early Detection of Cancers’. In this program there were around 100 participants, 13 facilitators/speakers and 10 guest lectures. Besides these, a couple of orientation meetings were also conducted in CRIUM, Lucknow in March 2017 and September 2017 respectively, for Unani physicians/Research Associates posted at LKD. Monitoring visits: To monitor the status of implementation of project and to rectify the problems and challenges faced during implementation; monitoring visits to the district were conducted on regular basis. Various monitoring visits to all the CHCs of LKD were conducted by the monitoring team of CRIUM, Lucknow on monthly basis; and by NPCDCS Nodal Officer from CCRUM, New Delhi on quarterly basis to demonstrate the progress to Ministry of AYUSH and Dte.GHS. Till January 2018, two central monitoring visits were also conducted by the central monitoring team comprising of officials from Dte.GHS, CCRUM and CRIUM to monitor the execution of NPCDCS-AYUSH integration project, bridging lacunae between Central and State health authorities, draw meaningful solutions to various administrative and technical challenges and explore possible areas of collaboration and support from State Government. Population based screening: The staff recruited under NPCDCSAYUSH integration project was posted at different CHCs in May 2016 and started collecting demographical details of prevalence of NCDs in LKD. The programme was officially launched on 1st June 2016 and since then the screening was started at all the CHCs. Till November 2017, as many as 1,62,839 persons were screened for NCDs in LKD as given in Table 1. The overall screening pattern for 18 months (June 2016-November 2017) is shown in Figure 2. Table 1: Details of number of persons screened for NCDs in LKD during June 2016-November 2017. Figure 2: Overall pattern of population based screening for NCDs in LKD during June 2016-November 2017. Enrolment of patients: After general screening, the patients were enrolled in different groups. The enrolment data suggests that a total of 24,911 patients were enrolled for selected NCDs and 98,692 patients were registered for management of other diseases through Unani system at LKD during the selected period. (a) Group-wise enrolment of patients:The vulnerable patients were enrolled in Group A and the diseased patients were enrolled in Group B. The group-wise enrolment statistics for 18 months is given in Table 2. The number of patients enrolled in Group A and Group B were 8,002 and 16,909 respectively. Table 2: Details of number of patients enrolled in Group A and Group B. The overall pattern of group-wise enrolment throughout the selected period is shown in Figure 3. Figure 3: Details of number of patients enrolled for NCDs under different groups. (b) Enrolment of patients under different NCDs: The month-wise details of patients enrolled for different NCDs are given in Table 3. During the selected period, the total number of patients enrolled for Diabetes; Hypertension; Hyperlipidemia; Cancer; Stroke and RHD were 10,452; 13,155; 1,142; 105; 50 and 7 respectively. Table 3: Details of number of patients enrolled for selected NCDs in LKD. The overall pattern of enrolment of patients for selected NCDs is shown in Figure 4. Figure 4: The overall enrolment pattern of patients for selected NCDs in LKD. (c) Total NCD patients enrolled in the district: The details of total number of patients enrolled for selected NCDs in LKD is given in Table 3, which suggests that out of the total population screened in LKD during June 2016-November 2017, the prevalence of Diabetes, Hypertension, Hyperlipidemia, Cancer, Stroke and RHD was 6.41%, 8.07%, 0.7%, 0.06%, 0.03% and 0.004% respectively as shown in Figure 5. The collected data also suggests that out of the total patients enrolled, maximum patients were diagnosed with Hypertension (approx. 53%) followed by Diabetes (approx. 42%) and Hyperlipidemia (approx. 5%). The percentage of patients diagnosed with Cancer, Stroke and RHD was very less and almost all these patients were referred to higher centers. 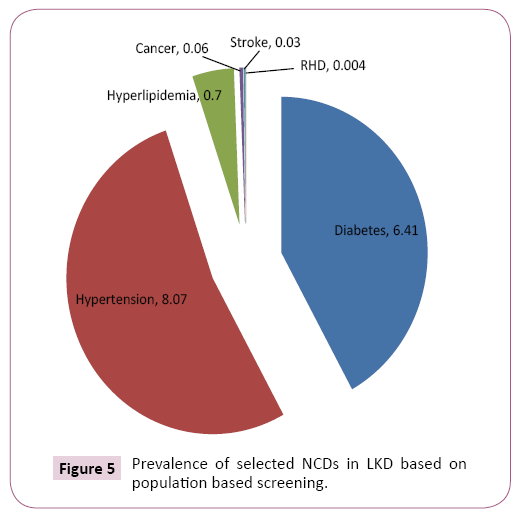 Figure 5: Prevalence of selected NCDs in LKD based on population based screening. Organizing outreach camps for mass awareness and screening was done smoothly on regular basis after crossing some initial hurdles. During the selected period of time as many as 869 awareness outreach camps were organized and 16,287 persons were benefitted as given in Table 4. Table 4: Details of awareness outreach camps conducted in LKD. The month-wise detail of the outreach camps conducted is shown in Figure 6 and the statistics of the beneficiaries is shown in Figure 7. Figure 6: The overall pattern of awareness outreach camps conducted in LKD. Figure 7: Persons benefitted from awareness outreach camps conducted in LKD. Health lectures: Health lectures were conducted on regular basis at PHC and sub-centre level to increase health awareness among people of LKD and to educate them about different NCDs and their prevention. The main focus of these health lectures was to promote healthy lifestyle. Till November 2017, 600 health lectures were delivered in different parts of LKD and as many as 14,601 people participated in these lectures. The details of the various health lectures organized during the period is briefly given in Table 5. Table 5: The month-wise details of health lectures delivered in LKD. The overall month-wise detail of the health lectures delivered in LKD is shown in Figure 8 and the statistics of participants is shown in Figure 9. Figure 8: The overall pattern of health lectures delivered in LKD. Figure 9: Details of number of participants in health lectures in LKD. Yoga classes and people benefitted: The uniqueness of this NPCDCS-AYUSH integration project is that yoga therapy is also provided to people of LKD along with Unani medications. During the selected period of 18 months, 3,669 yoga classes were conducted and 57,152 persons attended the yoga classes organized at the Unani Lifestyle Clinics. The month-wise detail of the number and persons benefitted through yoga classes in LKD is given in Table 6. Table 6: Details of number of participants and yoga classes organized in LKD. The overall month-wise detail of the yoga classes conducted in LKD is shown in Figure 10 and the statistics of participants benefitted is shown in Figure 11. Figure 10: The overall pattern of yoga classes conducted in LKD. Figure 11: Details of number of participants attending yoga classes in LKD. The NPCDCS-AYUSH integration project is a model of successful operationalization of integration of AYUSH systems, particularly Unani system of Medicine in mainstream healthcare. This has augmented the existing health infrastructure and healthcare facilities in the district. This project has achieved a lot in a very short span and has managed to build a reputation among masses due to its uniqueness. The mass awareness generated through this project about various NCDs, promotion of health and prevention of diseases through lifestyle modifications, management of NCDs through Unani Medicines and yoga therapies advised for NCDs are some of the unique features of this project. In this duration of 18 months 1,62,839 people have been screened for NCDs and 24,911 patients have been enrolled for management and treatment of selected NCDs. The enrolment data suggests that among the population screened so far prevalence of common NCDs like diabetes, hypertension, hyperlipidemia and cancers in LKD is 6.41%, 8.07%, 0.7% and 0.06% respectively. During the period from June 2016 to November 2017, the total awareness outreach camps conducted were 896 and 16,287 persons were benefitted through them; 600 health lectures were conducted and 14,601 persons participated in them; and 3,669 yoga classes were conducted through which 57,152 persons were benefitted, in LKD. The project is catering a large population of LKD which is one of the biggest districts in Uttar Pradesh. If we statistically consider, till now only approximately 4.05% of population of LKD has been screened and hence the implementation needs to be strengthened further. Unani Medicines were given to patients both as an individual treatment and as well as an adjuvant treatment. The positive effects of the project can already be seen in the way that in some cases it has helped patients in decreasing the number of allopathic medicines taken by them whereas the dose of allopathic medicines have been tapered down in many cases. In this way, the side effects arising from prolonged use of allopathic medicines have been minimized and thus helped in improving the quality of life of the patients. Although, this integration project is still in an early phase of implementation, but it can certainly be concluded that this project has laid the foundation for streamlining AYUSH integration projects in mainstream healthcare. In the long run, the project can serve a larger population of LKD and help in decreasing the burden of NCDs in LKD in particular and in India in general. • Integration model of NPCDCS for other districts: The integration of Unani Medicine in NPCDCS-AYUSH project is a working model of integration of AYUSH systems with conventional healthcare and this model can be replicated in other districts too. • Integration with other national health programmes: Considering the fact that the Government of India is implementing various other National Health Programmes too which deal with NCDs in one way or the other. Therefore, this NPCDCS-AYUSH project can be integrated with other health programmes also viz.-a-viz. National Tobacco Control Programme (NTCP), National Oral Health Programme (NOHP), National Mental Health Programme (NMHP), National Programme for Health Care of the Elderly (NPHCE), Revised National Tuberculosis Control Programme (RNTCP), Rashtriya Bal Swasthya Karyakram (RBSK)/Rashtriya Kishor Swasthya Karyakram (RKSK), etc. • Inclusion in National Health Policy (NHP) 2017: An important objective of the latest NHP released in 2017 was ‘Integration with AYUSH’ for promoting pluralism in healthcare through cross-referrals across all systems of medicines. Therefore, support for NPCDCS-AYUSH integration project can be drawn from NHP 2017. • Inclusion in state program implementation plans (PIPs): One of the mandates in State PIPs under Financial Management Report (FMR) code reflects AYUSH integration component. In view of this, the states may be sensitized to propose for NPCDCS-AYUSH integration project as well, along with their proposals for other National Health Programmes. The authors would like to acknowledge the Director General of Health Services and Director General CCRUM for their persistent guidance and support. The authors would also like to acknowledge the Unani NPCDCS staff posted in LKD for their support and cooperation. Defu M, Hiromichi S, Chihiro W (2017) The prevalence and risk factor control associated with noncommunicable diseases in China, Japan and Korea. Journal of Epidemiology 27: 568-573. Reducing risk factor for noncommunicable diseases (2017) Facilitator’s manual for training of counselors. Ministry of Health and Family Welfare, Govt. of India, pp: 5-6. Global action plan for the prevention and control of noncommunicable diseases 2013-2020. Geneva, Switzerland. World Health Organization, pp: 7-8. Global Health Observatory data (2018) accessed on 10th February. Noncommunicable diseases (2018) accessed on 10th February. Global status report on noncommunicable diseases (2014) Geneva, Switzerland. World Health Organization, p: 150. Noncommunicable diseases progress monitors (2017) Geneva, Switzerland. World Health Organization, p: 93. National action plan and monitoring framework for prevention and control of noncommunicable diseases (NCDs) in India (2013) Ministry of Health and Family Welfare, Govt. of India, p: 2. Training module for medical officers for prevention, control and population level screening of hypertension, diabetes and common cancer (oral, breast and cervical). National Centre for Disease Control, Directorate General of Health Services, Ministry of Health and Family Welfare, Govt. of India, p: 3. National Programme for Prevention and Control of Cancer (2013) Diabetes, Cardiovascular Diseases and Stroke (NPCDCS) Operational Guidelines (Revised: 2013-2017). Directorate General of Health Services, Ministry of Health and Family Welfare, Govt. of India, p: 6. Annual Report 2017-18. New Delhi. Department of Health and Family Welfare, Ministry of Health and Family Welfare, Govt. of India, pp: 112-113. Training Manual on Integration of Unani Medicine in NPCDCS (2016) Central Council for Research in Unani Medicine, Ministry of AYUSH, Govt. of India, pp: 12-13. Report of the inauguration of Unani Lifestyle Clinic at District Hospital, Lakhimpur-Kheri under NPCDCS-AYUSH integration project (2017) Central Council for Research in Unani Medicine. Information, Education and Communication-Lessons from the past; perspectives for the future (2001) Geneva, Switzerland. World Health Organization, p: 3. Working together for Health: The World Health Report 2006. Geneva, Switzerland. World Health Organization, pp: 1-41. Larson SA, Hewitt AS (2012) Staff Recruitment, Retention and Training Strategies for Community Human Services Organizations. Minneapolis. Research & Training Center on Community Living. Republished, pp: 105-110. Project/Programme Monitoring and Evaluation Guide (2011) Geneva International Federation of Red Cross and Red Crescent Societies, pp: 11-13. Wilson JMG, Jungner G (1968) Principles and Practice of Screening for Disease. Geneva. World Health Organization, pp: 9-12. Operational Guidelines for Conducting Outreach Sessions in Urban Areas (2015) Ministry of Health and Family Welfare, Government of India, pp: 4-6. Donev D, Pavlekovic G, Kragelj LZ (2007) Health Promotion and Disease Prevention. Skopje. Hans Jacobs Publishing Company, pp: 518-530.